Hiya guys, how's it going today? The week seems to be flying by, but I think that's partially because I've been taking long afternoon naps. I have a sleeping beauty complex, haha. 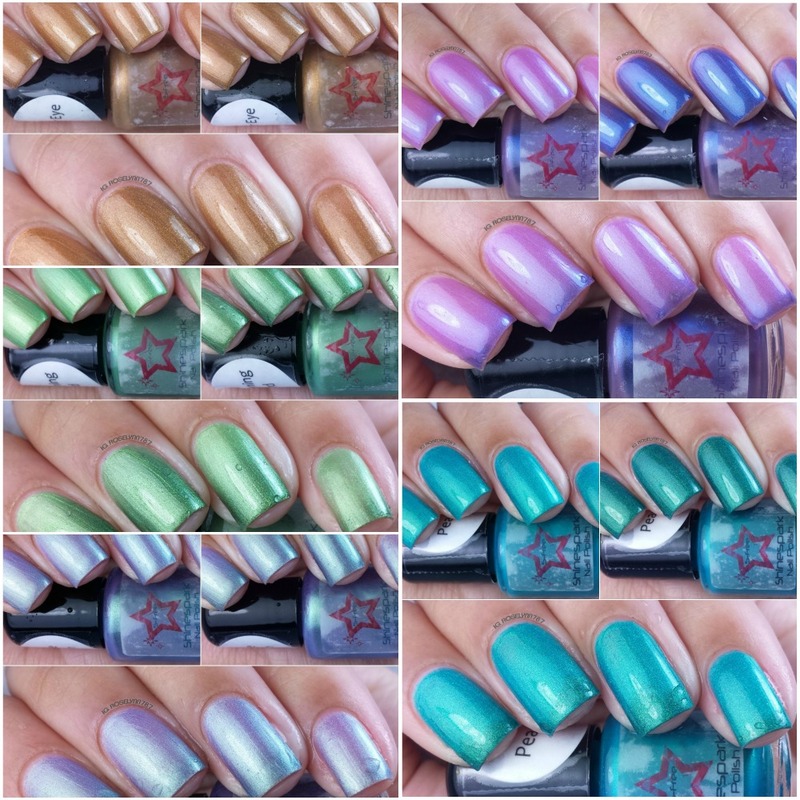 Anyway, for today I'll be reviewing for a fairly new indie on the scene Shine Spark Polish, whom you will be happy to know is the big five-free. Their new collection will be launching at the end of the month and will be split into thermals and solar polishes. I'll be reviewing only the thermal half of this collection for you guys so let's take a look. The Light, The Heat Collection by Shine Spark Polish will be releasing on April 29th at 10:00 am CDT. I'll include a full breakdown on pricing per bottle and size at the end of the post. Peacock is a teal thermal with a slight shimmer that shifts from a bright aqua when warm to a dark teal when cold. Of course, color wise this one is probably my favorite as I love anything teal. The thermal color shift is extremely gorgeous and very rich. The formula and consistency are very easy to work with and apply. Swatched here is three thin coats and sealed off with Seche Vite top coat. 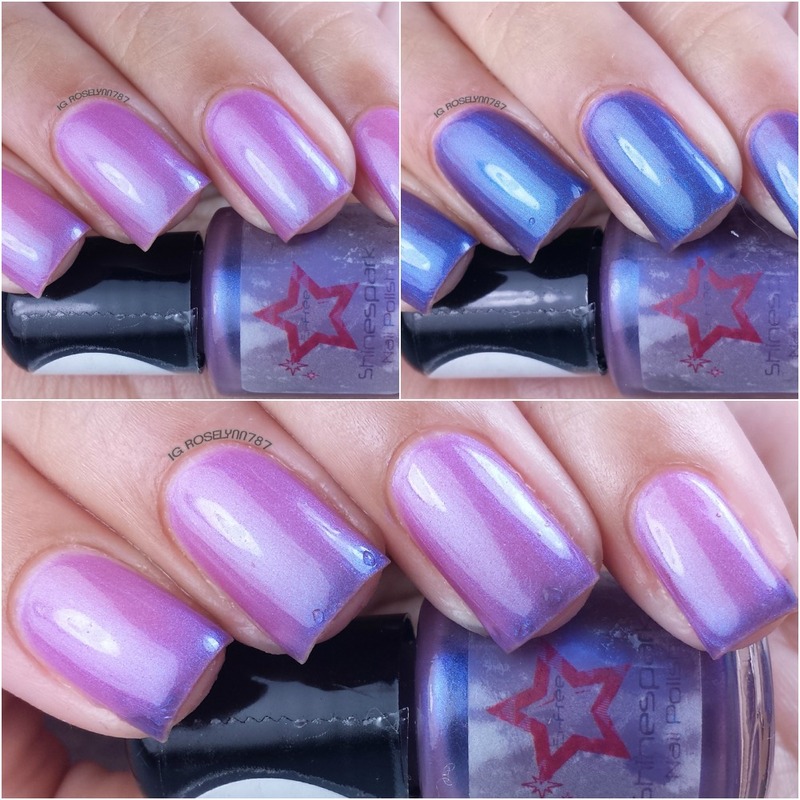 Dusk is a shimmering thermal shifting from pink when warm to a rich purple when cold. 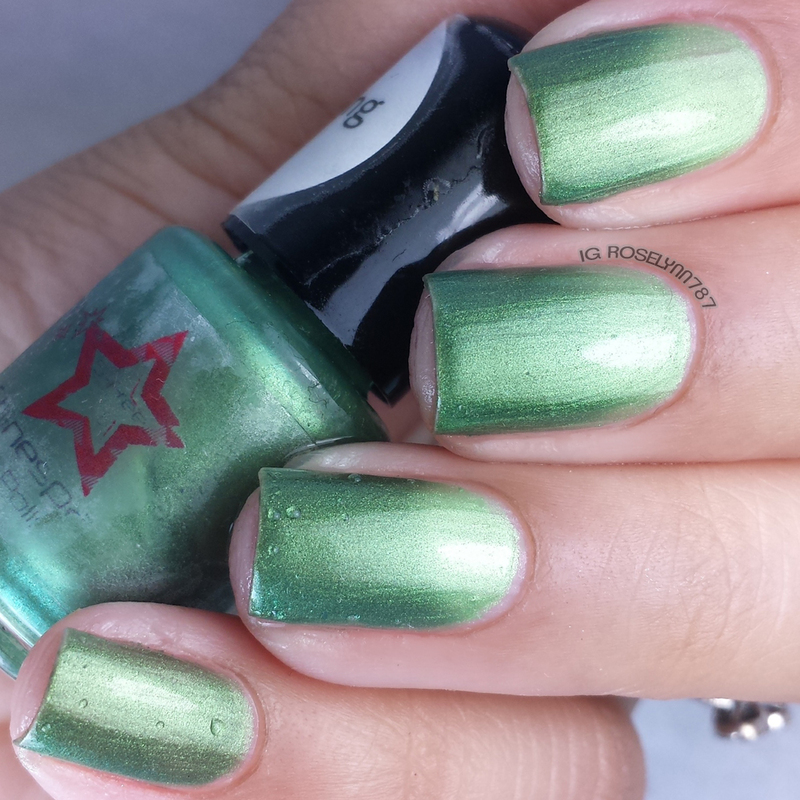 Personally, I'm a huge fan of dramatic color changes like the one shown with this polish. Absolutely gorgeous and flawless color shift. It's definitely the must-have of this collection for any thermal fan. 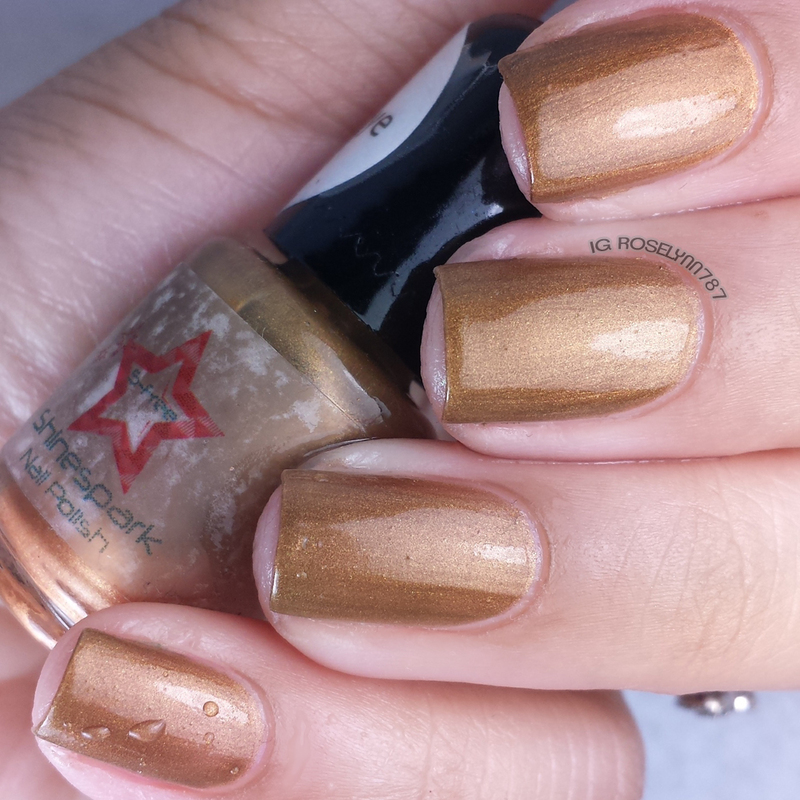 Great formula and consistency, although a bit too sheer in a single coat. For these photos, I used three thin coats and. sealed them off with Seche Vite top coat. Tiger Eye is a honey brown shimmering thermal shifting from honey brown when warm to a copper brown when cold. As you may notice with my swatches, the thermal color change was a little on the subtle side. I did have an issue with the pigments settling oddly in the bottle, but it did not affect the application whatsoever. Formula was good, however, brush strokes are very apparent so a light hand is best. For these swatches, I used three thin coats and sealed them in with Seche Vite. 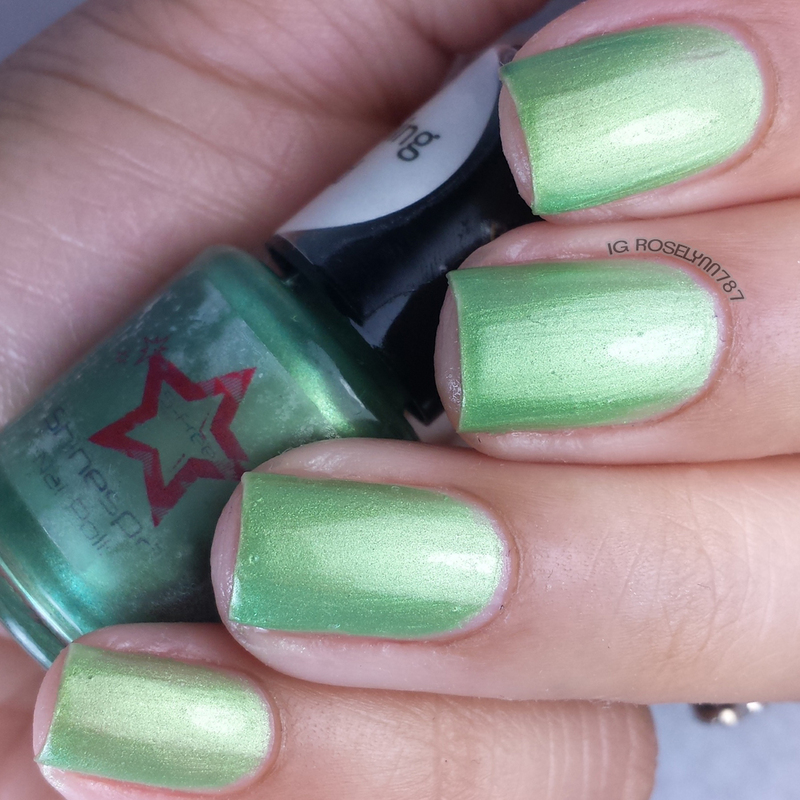 Hummingbird is a shimmering thermal shifting from light green when warm to a dark green when cold. I really like the look of this one in transition, it's really fitting for the Spring and Summer seasons. Like all the others, the formula and consistency gave me no issues when applying. I did find it to be a bit more sheer than preferable, but the coats end up evening out well. 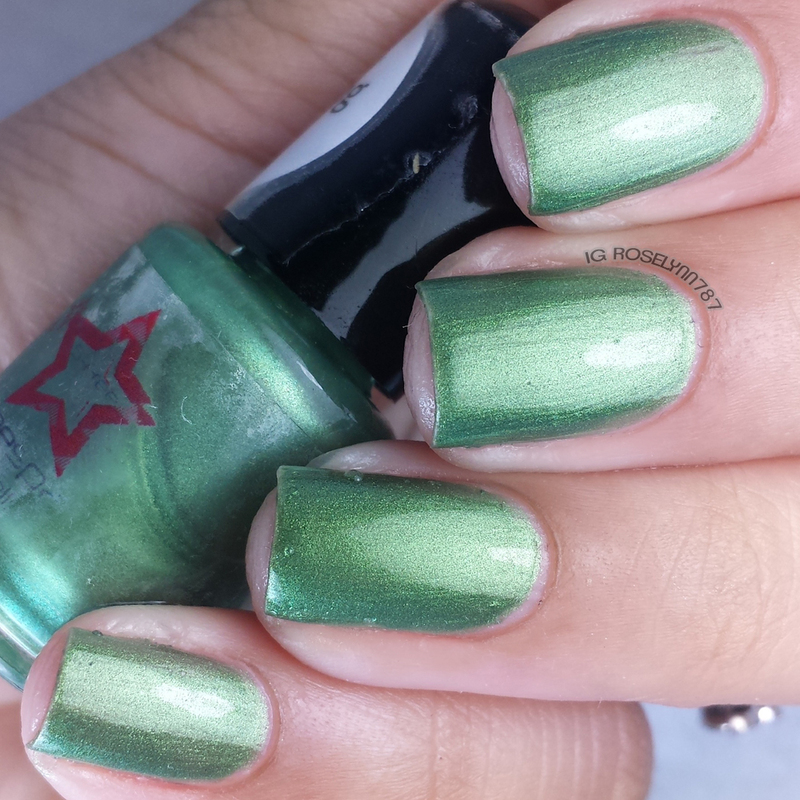 For these swatches, I used three thin coats and sealed them in with Seche Vite. Purple Martin is a frosty shimmering thermal shifting from a light lavender when warm to a light blue when cold. So much frost really gives off a gorgeous illusion, especially in transition. I only wish the color shift was a little more potent, because it's almost too subtle to notice. The gorgeous finish does come with a price though and the brush strokes on this one are super noticeable. Applying very carefully helps, as well as applying a top coat to smooth down the finish. Consistency wise this one is just as the others, not too thick or too thin. For these swatches, I used three thin coats and sealed them in with Seche Vite. Overall I'm satisfied with my first time using Shine Spark Polish, especially with Dusk and Peacock. As I mentioned in the review, I love thermals with dramatic color changes and these two really hit the mark. The other three, unfortunately, did not wow me as much as I would of liked. The biggest factor for me being the almost frosty shimmering finish that caused visible brush strokes. If you're a fan of these kinds of finishes though, you will love the formula on these and the thermal changes. The scheduled release date is April 29th at 10:00 am CDT. Pricing will be $70 for the full size full set, $37 for a half set, in either the thermals or photo-chromes. Mini full sets will be $37, with half sets available for $17.25. Individual bottles will be sold for $8 for each full size and $3.75 for minis. So tell me guys, what are you a fan of... thermals or solar polishes? Your nails always look amazing. The shiny sparkly nail polish would be so much fun for the spring/summer months. I'll have to try some, in blue I think. Nails look awesome. Lots of bright, vibrant colors. Would love my nails to look so good. Your nails look absolutely wonderful! That polish is so thick and gorgeous! First one is also my favourite! And the price seems really honest, too! Oh these are all so pretty. Peacock is the the most incredible color. Wow. So very gorgeous and perfect for Spring/Summer! I love these - the jewel tones are so striking! These are all beautiful colors!! I love the color tone of all of the colors. Purple Martin is my favorite out of all the ones you have. Tiger Eye is so pretty! I love these colors! The blue one is such a gorgeous color! This has now inspired me to paint my nails! This is a beautiful collection of colors. Peacock is my favorite one. I love to change my polish a few times a week. This is an absolutely gorgeous collection! I'm obsessed and want all of the colors like right now lol. You got me on that Tiger Eye, I think it's the prettiest of them all. I would love my nails painted with that color. What beautiful nails you have. That is pure talent. The colors are just amazing loving the pink with purple just stunning! Beautiful colours, perfect for spring and summer! The blue and green hues just brought the word mermaid to mind for me, so pretty! I love the transitions on these! Peacock and Dusk are so stunning! Omg these are some pretty nail shades!!! Teal is one of my favorite colors so I'm loving that set!!! These seem like some really nice polishes!! I love Peacock! I tend to shy away from thermals (and haven't even tried solar), but this one is gorgeous! I serious am dying for that Peacock and Hummingbird. Those are just gorgeous colors. This makes me want to start painting my nails again. These colors are some of my favorite! I really like the blues. Once again your nails look great! Those are such awesome polishes! I love all the colors really, but I especially like Peacock! So pretty! It is hard to choose one favorite. Personally, I love them all! I'll have to check this brand out sometime. Out of all the colors shown here, I am really gravitating to the Tiger Eye shade for myself. I like seeing the shades of blue and purple on other people. Wow - you hit all my favorite colors in one post! The teal and the green are my favorite. I love that faint sparkle! The blue and green ones are great, but I think I like the teal-like colors the best. They really pop. Pretty colors. I like the lavender one with the blueish tips. Very nice. Gorgeous colors, I'm especially loving that peacock color! Thank you for sharing. those look wonderful - love the pastel colors of it and its oh so shiny indeed! I'm just OBSESSED with Peacock and Dusk!! Gorgeous swatches as usual! Bestie Twin Nails... with CDBNails143!